You might be thinking that a French translation dictionary is passé nowadays, given the fact that Internet is full of free resources where you can learn French. 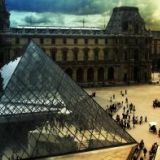 There are scores of websites providing free French vocabulary lists, beginner and advanced French lesson plans, French grammar exercises, lists of commonly used French sayings and expressions, and even audio allowing you listen to correct pronunciation from a native French speaker. There is also Google Translate and other automatic language translators offered by the major search engines. However according to the experts, nothing can really replace a quality French translation dictionary. The fact of the matter is that dictionaries are 100% more reliable and accurate than most online resources. Conversely, the results of most automated translation services are hopelessly flawed, failing to pick up on the intricate nuances of both the target and original languages. And what you may not know is that there is a whole slew of new French-English and English-French dictionaries to meet your every need. There are common phrase dictionaries, children's dictionaries, electronic dictionaries, hand-held dictionaries, pocket dictionaries, scientific and medical term dictionaries, dictionaries of idioms, dictionaries of common errors, and even a slang French translation dictionary. So what are the benefits of a quality French translation dictionary? First, you will have access to over 100,000 words. 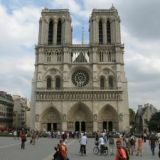 Second, most reputable French dictionaries also provide a pronunciation guide, conjugations, and lessons on French grammar. 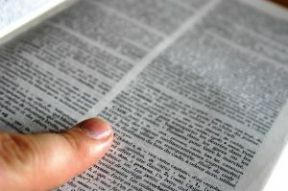 Most importantly, for each entry the dictionary provides concrete examples on the multiple uses of that word or the idiomatic ways in which a particular word is used. Take, for example, the French word le temps (time). A good French dictionary will offer at least six different ways to use this word, including le temps as duration: Le temps de voyage est de trois heures (The trip lasts three hours); le temps as a historical period: en temps de guerre (in time of war); le temps referring to the weather: Quel temps fait-il? Il fait beau temps (What's the weather like? The weather is nice); le temps as a grammatical tense: le temps futur du verbe faire (the future tense of the verb faire. ); le temps as a musical beat: Mettez l'accent sur le premier temps (Put the accent on the first beat); and le temps as a technical term meaning a stroke: un moteur à quatre temps (a four-stroke engine). Finally, a good French translation dictionary will also provide examples of phrases or expressions derived from the main meaning of a particular word, such as: arriver à temps (to arrive on time) or un emploi à temps plein (a full-time job).